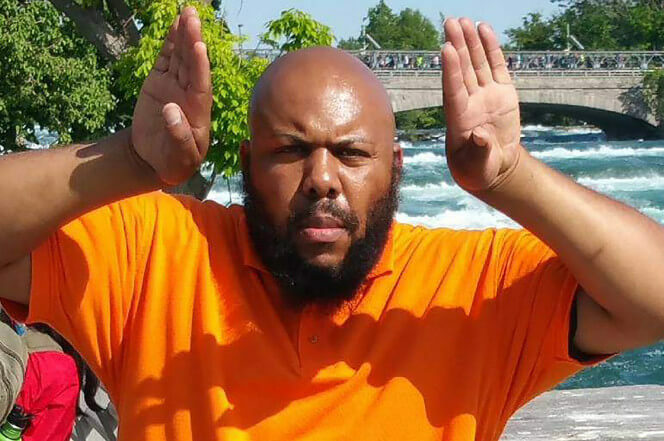 Steve Stephens, the man accused of shooting 74-year-old, Robert Godwin on Sunday then posting a video of the killing on Facebook, is now dead. A tweet by the Pennsylvania State Police indicated that Stephens killed himself after being pursued by authorities. The pursuit began after the PSP received a tip that Stephens’ car was spotted in a McDonald’s parking lot in Erie County, Pennsylvania. State police chased him only for a short way before the fugitive turned a gun on himself. The manhunt for Stephens began after he stated in a separate video, “I’m about to keep killing until they catch me, f— it. I’m telling them to catch me,” reported the New York Post. When Cleveland authorities determined that he may have fled the state, the search for the fugitive went nationwide. The Cleveland Police offered a $50,000 reward for any information leading to his arrest. Stephens had no previous criminal record, and the killing was apparently random. His long time girlfriend had recently broken up with him, and he appeared to be blaming her for his act in the video. He also claimed to have killed another dozen people, but Chief Williams said that they have not had any reports of other shootings and cannot tie him to any other murders. Facebook was criticized for not taking the video down for over an hour after it was flagged. The social media giant issued an apology in a statement on Monday. Although justice was not officially served, hopefully, the Godwin family can have closure now that Stephens is no longer at large.